Allston Pads provides information premium, high-quality real estate informational services about Allston and the surrounding areas. With years of real estate experience found here and the largest local Allston online real estate resources, Allston Pads provides our visitors with comprehensive Allston real estate information, as well as the largest real-time database of up-to-date property listings. 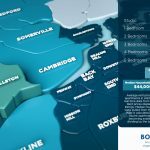 Explore our site and call 617 208 2167 to connect with a Allston agent today!